Just another quick update: we've enhanced the graphical calendar at the top of the Booking Details page to show surrounding bookings in gray, so that you can easily see what's available for nearby dates. 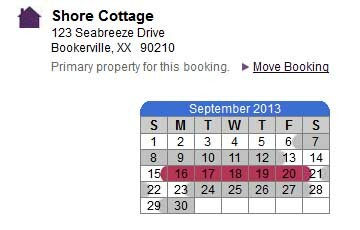 You can also click the other bookings to go right to the details page for them. VRBO also recently made a change to their inquiry emails. We have updated the Auto-Responder to cope with this, so all is good!